You are here: Home / Blog / Life Style / Meditate for Greater Health and Live longer!!! Meditate for Greater Health and Live longer!!! In 1998, three scientists won the Nobel Prize in physiology for discovering a ridiculous number of ways this anti-ageing molecule helps the human body. Your brain, arteries, immune system, liver, pancreas, and lungs would quickly shut down without this incredible stuff. And the more you have flowing through your beautiful body, the longer you will live. 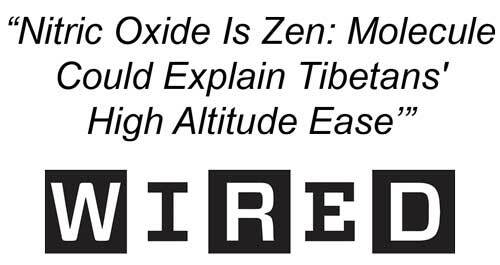 Wired magazine has called it the ‘Zen’ molecule. In scientific circles, it is called Nitric Oxide. Why is it called the Zen molelcule? Because studies have shown that meditation boosts Nitric Oxide by More Than 1,000%+! https://www.anexaminedlife.co.uk/wp-content/uploads/2018/09/nitric-oxide.jpg 265 500 Hazel Nathaniel-James http://780.43b.myftpupload.com/wp-content/uploads/2017/05/AEL-logo.png Hazel Nathaniel-James2018-09-13 14:15:262018-10-01 09:29:20Meditate for Greater Health and Live longer!! !